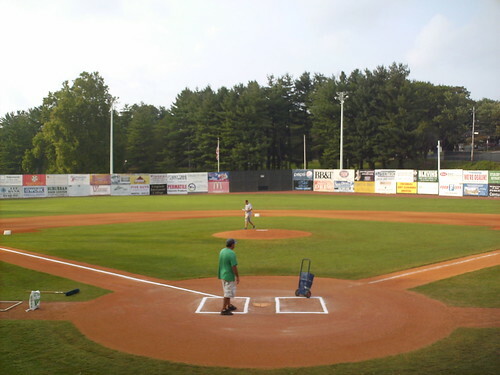 The view from behind home plate at Boyce Cox Field. The view from down the first base line. 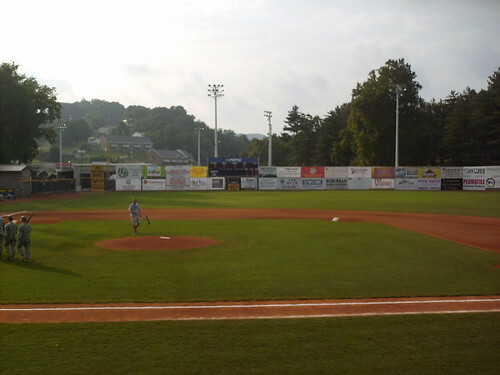 Like many Appalachian League parks, residential homes are visible beyond the outfield fence. 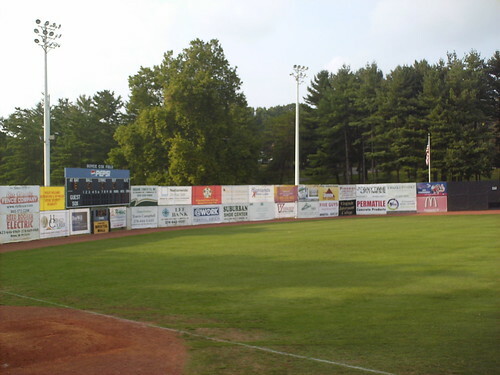 The view from down the third base line, looking toward the clubhouse and the right field wall. 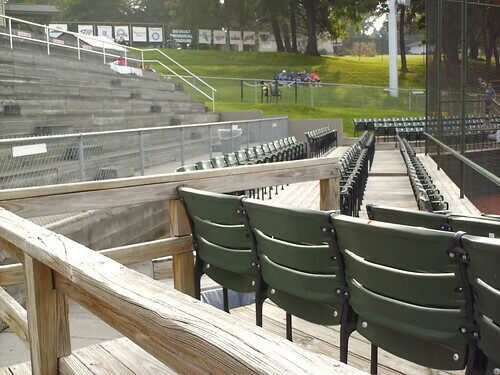 The grandstand at DeVault Memorial Stadium. 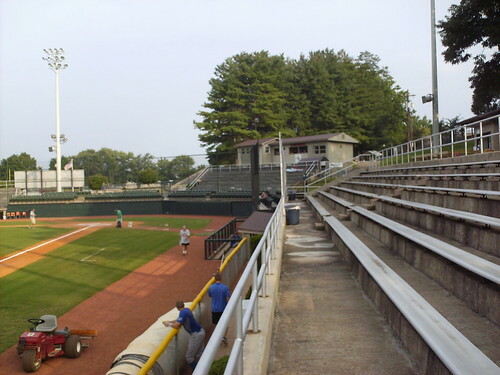 The grandstand is elevated from the field, and a long concrete bleacher section runs the length of the third base line. 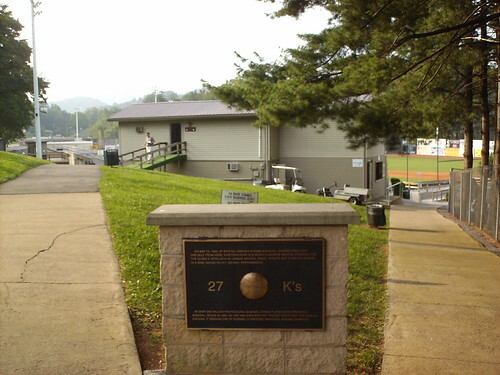 The concourse running along the hill on the third base side. 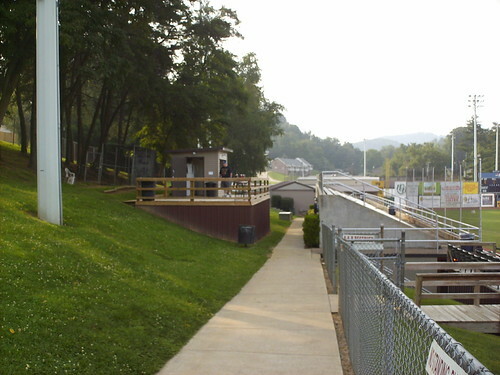 The deck behind the bleachers offers the only alcohol in the park. 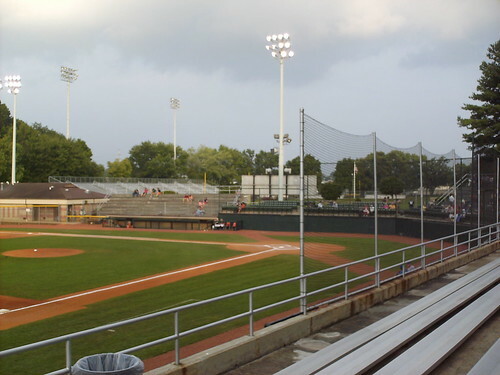 Seating behind home plate consists of a few rows of fold down seating, with a small concrete bleacher section behind them. 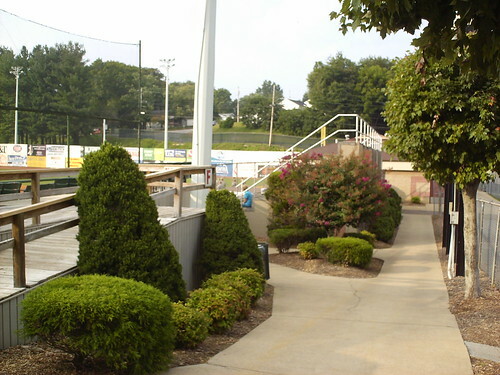 Landscaping on the first base concourse leading to a smaller bleacher section and the home clubhouse. 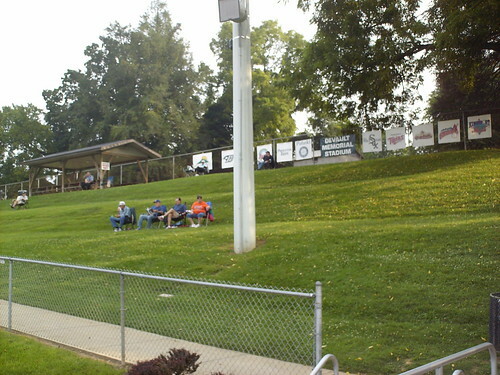 A large grassy hill runs behind the third base stands and is one of the most popular seating areas in the park, with many fans bringing their own chairs. 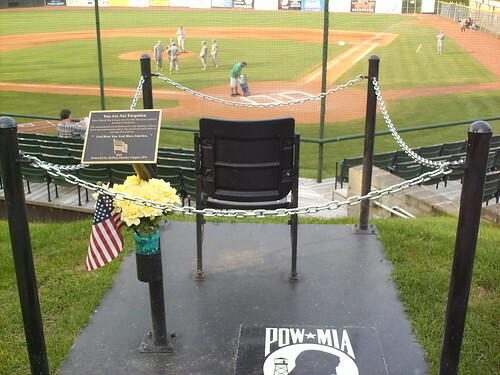 A lone seat sits behind the plate, reserved in memory of Prisoners of War and Missing in Action soldiers. 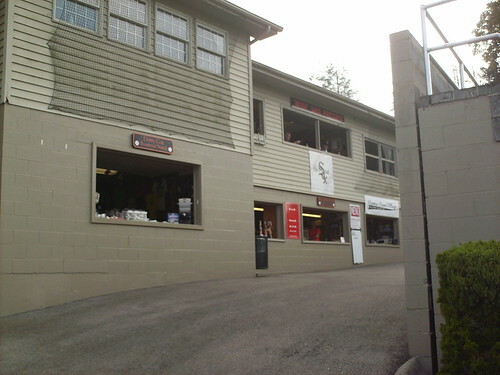 The pressbox sits in a separate building over the concession stands, separated from the grandstand by a wide concourse. 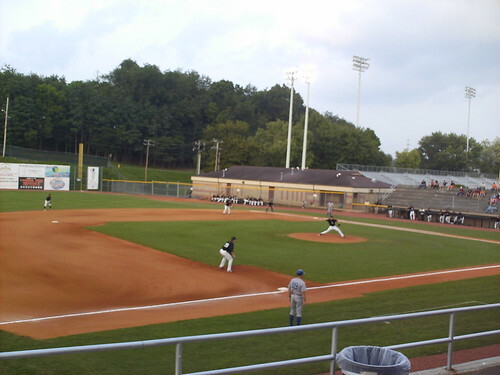 The ballpark looks into the town football stadium behind the first base stands. The outfield fence is tall all the way around, and makes several sharp corners as it wraps around the field. 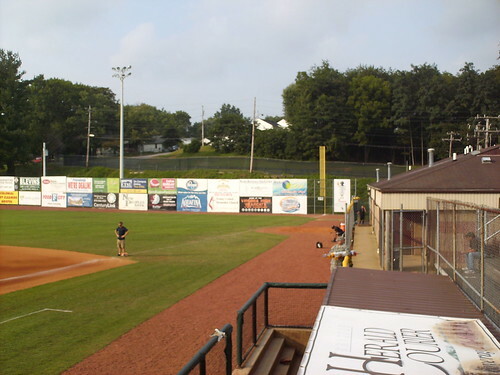 The fence comes in to 310 feet at the right field corner as it runs up against a residential street. 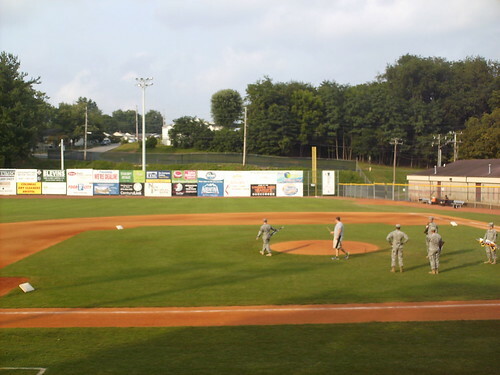 The Bristol White Sox on the field during a game at Boyce Cox Field.